Our team in Colombia and the US have worked together on numerous publications. With brilliant illustration and design, the booklets breaks down for the reader many complicated situations and what is REALLY happening here – a feedback from the front line. 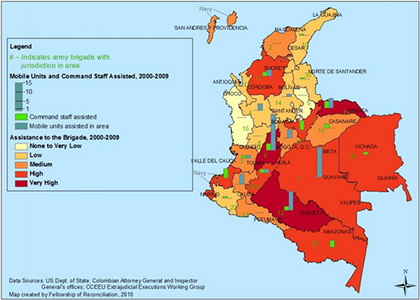 Ever tried to explain Colombia’s conflict to someone who knows little about it? Or to understand it yourself, and the ways natural resources and territory are at the center of the conflict and the U.S. role?What’s Land Got to Do with It? 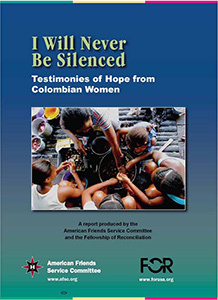 is a 36-page pocket-size booklet made for grassroots education of Colombia, land, and how the armed conflict affects ordinary people. 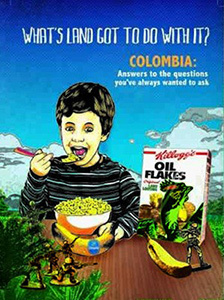 With lots of graphics, pictures, quotes, and written in language accessible for kids and adults, What’s Land Got to Do with It?describes the history and human face of the violence in Colombia and its focus on land. Print orders are no longer available, unless a bulk re-print is requested. You can download a digital copy here (large PDF file, 25 MB) to view on your computer. 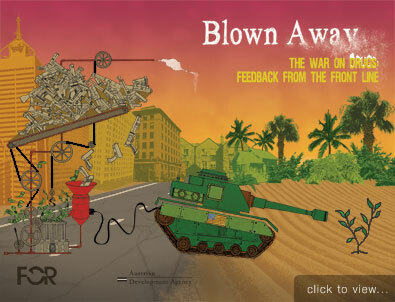 Blown Away — The War on Drugs: Feedback from the Frontline. Last year, our first popular education booklet, What’s Land Got To Do With It?, explored how we are connected to land in other places through our everyday activities. Now we’re back with another complex issue — the 40-year-old war on drugs. The drug war is a global enterprise involving politicians and governments, the mafia, drug traffickers and illegal armies, the police forces and militaries of several countries, millions of ordinary civilians and your tax dollars. Through true stories from real people, we look at who the drug war impacts, analyze some of the big interests involved, and offer a few alternatives. Read more about FOR’s campaign on stopping U.S. militarism in Latin AmericaAvailable in bulk orders, for $25 for 20 copies postpaid, $50 for 50 copies. Individual copies are $1.75 postpaid. Click here to order your copies for your community group, you, and your friends.You can also download a digital copy here (large PDF file, 6.2 MB) to view on your computer. 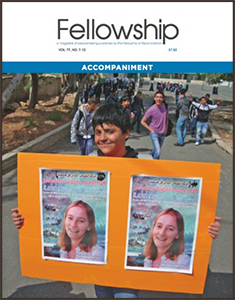 Fellowship is a quarterly print magazine published by FOR USA. Selected articles are available online. Want access to all of the articles? Subscribe for just $40/year, or free with any donation of $50 or more!